This will be remembered as the year when the United States of America broke with the international consensus by moving its Embassy from Tel Aviv to Jerusalem, thus recognising the Holy City as the capital of Israel. The deliberate timing of the move to coincide with next month’s 70th anniversary of Israel’s creation in historic Palestine —the Nakba (Catastrophe) — has angered Palestinians whose faith in the US as an honest broker in the peace process has always been low but is now non-existent. Palestinian anger has been fuelled further by the Trump administration’s removal of references to Palestinian land captured by Israel in 1967 as “occupied” from its latest annual human rights report. 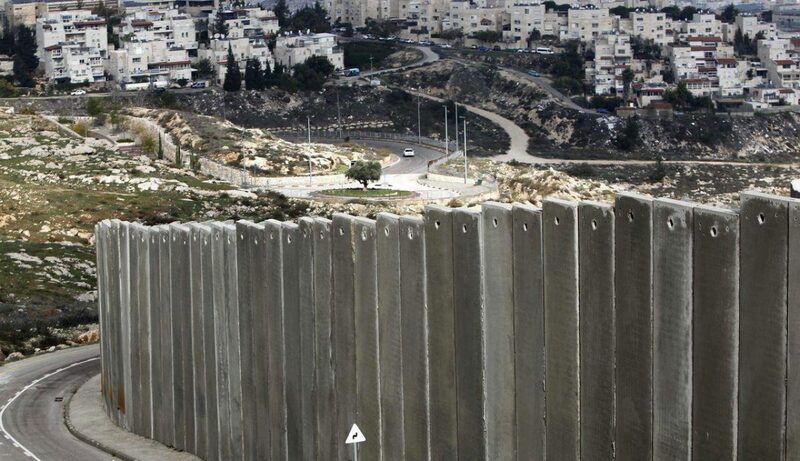 “Country Reports on Human Rights Practices for 2017” broke with previous policy by changing the section on the human rights situation in Israel and Palestine from “Israel and the Occupied Territories” to “Israel, Golan Heights, West Bank and Gaza”. At a stroke, the US State Department has removed reference to the occupation of any land taken by force by Israel in 1967, including the Syrian Golan Heights. Such a change runs counter to international law. Washington’s alleged commitment “to support those around the world struggling for human dignity and liberty” can certainly not be seen as applying to the Palestinian people. This US administration is chipping away shamelessly at the legitimate rights of the Palestinians, which they have demanded for 70 years. Trump claims to have taken Jerusalem off the table, that there is no occupation and that the settlements are no longer referred to as “illegal”. This leaves just one more issue to take off the table, the Palestinian refugees’ right of return. OPINION: The Middle East Quartet still includes the US, so can it still play a role in the peace process? There are now 5.5 million Palestinian refugees clinging to this right; the Great March of Return has seen tens of thousands of them marching peacefully to the border area in Gaza to reaffirm it. While they wait for that right to be implemented, they continue to be supported by the United Nations Relief and Works Agency (UNRWA). The agency was established in 1949 to carry out direct relief and works programmes for “Palestine refugees in the Near East”. UNRWA began its operations on 1 May 1950 and its services encompass education, health care, relief and social services, camp infrastructure and improvement, microfinance and emergency assistance, including in times of armed conflict. They are delivered in the main countries where the Palestinian refugees continue to live: the occupied West Bank and Jerusalem, the Gaza Strip, Jordan, Syria and Lebanon. In Gaza, UNRWA provides services to refugees who make up 80 per cent of the population. UNRWA is funded almost entirely by voluntary contributions from UN Member States. It also receives some core funding from the regular budget of the United Nations, which is used mostly for international staffing costs. The agency is facing a funding crisis, exacerbated by the US decision to cut its contribution. In January, the State Department announced that it was withholding $65m out of its $125m interim aid package earmarked for UNRWA stating that “additional US donations would be contingent on major changes” by the agency. When asked what major changes the US Administration asked of UNRWA to continue its funding, the official spokesman was unable to point to specific requirements. Speaking at a meeting in the British parliament organised by the Palestinian Return Centre, Chris Gunness expressed the agency’s surprise at the defunding given that last November US officials had praised UNRWA’s high impact, accountability and flexibility. The PRC meeting looked at Britain’s relationship with UNRWA. Gunness praised the government’s ongoing financial support but then set out the problems that the agency is facing, which he described as an “unprecedented financial and existential crisis.” He told the meeting that the Trump administration is actually “defunding UNRWA to the tune of $305 million” having only paid $60m in January when $360m was expected. Despite having already started to procure food and non-food items in the expectation of receiving the full amount from the US, UNRWA was told by the State Department that no more would be forthcoming. UNRWA’s resources have been stretched by the crisis in Syria, the spokesman pointed out. Additional needs have been generated by the 150,000 Palestinian refugees who were among more than half a million living in Syria to flee to neighbouring Lebanon and Jordan. Gunness warned that even after the recent Rome conference which sought to raise $466 million for UNRWA, only $110m was raised, including $50m from Qatar alone. Although Saudi Arabia subsequently pledged another $50 million, the agency only has sufficient funds to see it through to July of this year. The real problem, he said, is the lack of a political solution; this is a conversation that the donor community “is not prepared to have. They seem to believe dialogue about reform somehow replaces it, but it does not. Their focus continues to be on how efficient UNRWA is in delivering its services and the rising costs.” The costs are rising, he added, because there has been 70 years of unaddressed dispossession and 50 years of occupation. “That is what drives the bill up. There are more and more refugees because there is an unresolved political plight and the children of refugees have become refugees.” This “protracted refugee situation” also applies to UNHCR. When asked what would happen to the refugees if UNRWA collapsed, Gunness said, “Palestinian refugees are human beings with rights.” Those rights do not disappear if UNRWA is not around. “Their options will remain as integration wherever they are, third country repatriation or repatriation, which means going home.” He confirmed that the preferred remedy for dealing with refugees by UNHCR is the right of return in that it produces the most stable outcome. Interview: Israel’s violent response to Friday protests by Palestinians in the Gaza Strip is gradually drawing international reactions.